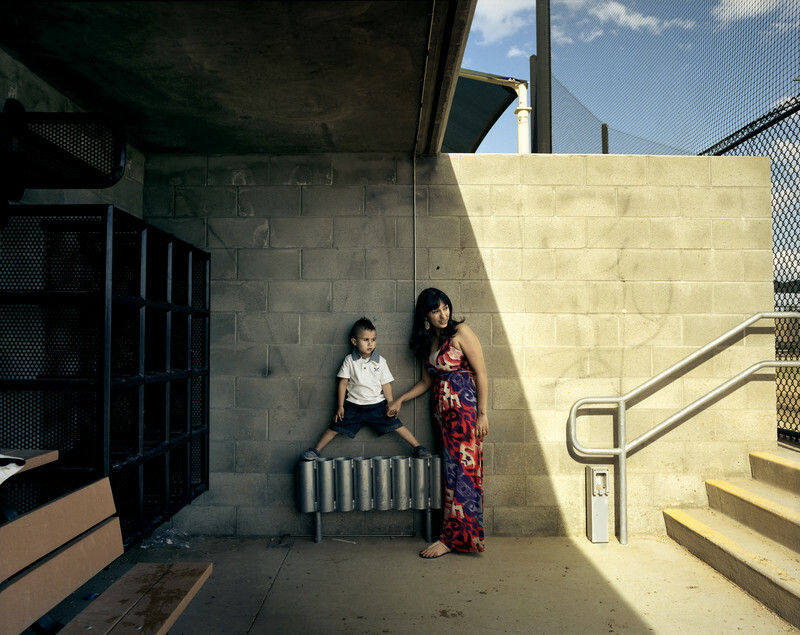 One in every six Americans lived below the official U.S. poverty line when Kira Pollack, Director of Photography at Time Magazine, commissioned Eskildsen to capture the growing crisis. During thirty-six days spread over seven months in 2011, and mostly accompanied by reporter Natasha del Toro, he traveled through New York, California, Louisiana, South Dakota and Georgia, visiting places that according to census data have the highest poverty rate. Approximately 50 million poor Americans are a heterogeneous population from very varying backgrounds. Some are newly poor, some are immigrants who have come from humble conditions, dreaming of the American possibilities. Of course, U.S. poverty differs from poverty in developing countries. People living below the poverty line can have physical goods, even work — but they are mired in debt, many homes are in foreclosure, and most often, being poor also implies having to resort to the cheapest, most unhealthy and risky lifestyle. Any unexpected occurrence may jeopardize the fragile system and find people living on the streets. If you live below the poverty line in the U.S. you are most likely to live in an unsafe area with high crime rates. Houses Eskildsen visited were often completely barred, the windows taped for security reasons, and parents were scared to let their children go out. Inside the homes, often built from low quality materials, air conditioning and TV's were running at all times. The influence of the mass media is enormous, and many people consider themselves as losers since they cannot live up to the ideals that are presented to them on TV. The minimum wage in the U.S. is so low that people often have several jobs in order to afford a house, food, and a car. Since infrastructure in the U.S. requires automobile transport and public transport is poor, people are totally dependant on their cars, and a car breaking down or the lack of money for petrol can easily mean loosing a job or even a home. In The neighbourhoods Eskildsen visited, there was no alternative to the low quality food offered cheaply in stores and fast food chains. Fresh food and vegetables, if available at all, were entirely out of range of affordability for most people, so risky food was consumed on a daily basis. Many people develop diseases related to unhealthy nutrition, and if you lack health insurance even minor health problems can unbalance the family’s economy. Many had lost their homes because of a hospital stay. History is an open wound, and most of the people suffer both mentally and physically. What struck Eskildsen as extremely positive were all the grass root level organizations who, out of their own will and initiative, helped the poor and homeless in an admirable way. The myth of the "American Dream" is very strong in the U.S. and it seems people are disillusioned with the fact that it is so difficult to get by today. They said there is no American dream anymore. This, they said, was the American Reality.